The episode starts with a flashback to the Thailand International Airport six days ago. There is a woman talking on the phone to her aunt. She got married. While waiting for the plane to take off, she gets another phone call. Her boss needs the combination to the safe. After some prodding, she gives it to him. She wakes up to the guy beside her sneezing because he’s allergic to her perfume. He knows because his ex-wife wears the same kind. They both go to sleep. When she wakes up, she can’t find her phone. Another passenger finds it on the floor. Flashforward to the present at 7:17 a.m at the New York Courthouse. “Let’s Stay Together” plays while Diana Lindsey and Bull kiss. She needs his help because her niece has been charged with armed robbery. Diana is of course the aunt that the woman on the plane called. The judge denies bail because they’ve been traveling to places that don’t have extradition treaties with the U.S. and the owner of the shop where the woman works may die from being beaten by the robbers. Diana gets Bull, and by extension us, up to speed. The jewelry store was robbed at about 2:30 in the morning. The owner was asleep in his office when he heard the alarm. Two robbers in masks that were the same height and build as the couple pistol whipped the owner almost to death and the used the woman’s code to open the safe. Their alibi is that they were where all reasonable people are at 2:30 in the morning: asleep. Bull and Diana talk alone. The husband has a juvenile record and she’s never met him before. They decide to represent them separately. Diana will represent her niece and Benny will represent the husband, Randy. Then she asks what he’s drinking. He obviously didn’t tell her about the heart attack and that is not a good sign. Marisa and Benny talk. 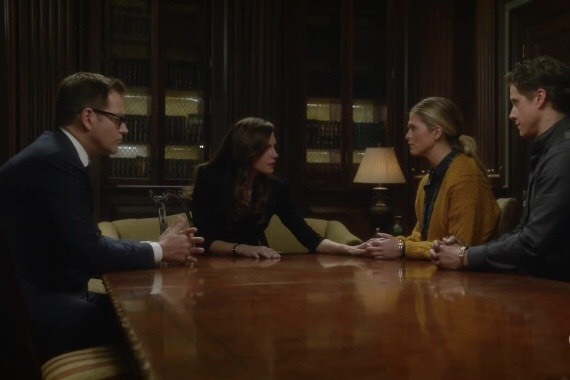 She’s worried about him, and at the moment so am I.
Marisa gives the team the spiel about the case. It’s going to be a joint trial, so same jury for both of them. Danny will go talk to the people at the jewelry store. Benny’s going to see Diana, and Marisa makes him promise to tell her if something’s up. 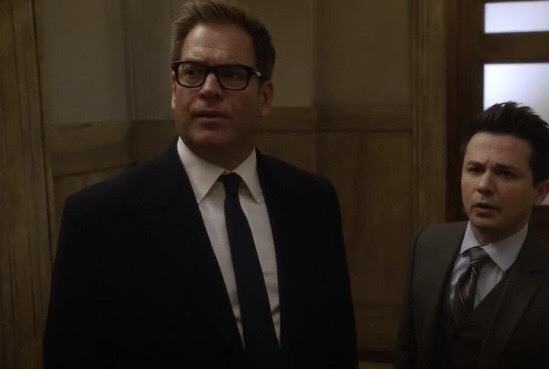 When Benny gets to the courthouse, Bull is asleep. According to Diana, he had two drinks and then was exhausted. She doesn’t understand. Benny doesn’t explain, but he does wake Bull up. They need jurors that are willing to consider alternative narratives. Bull, Benny, and Diana talk in the car. The owner is going to be alright and will even testify. Benny then leaves. Diana says that she wants to go dancing. Bull eventually agrees. She takes him to a club. He’s initially very uncomfortable, until she hands him a drink and he drinks it. Then he starts dancing with her. In her hotel room he doesn’t look so good and he doesn’t feel so good. His pulse is racing, he’s flushed, and he needs air. He tells her that he has to leave. She’s insulted and doesn’t understand, but he promises to explain later. The next morning it’s super duper awkward. The woman tells them that she gave her boss the combination on the plane and they don’t think much of it. What they do think much of is that a hat Randy said he lost in Thailand ended up at the crime scene. Bull, Benny, and Diane are in the car and it’s extremely tension heavy. 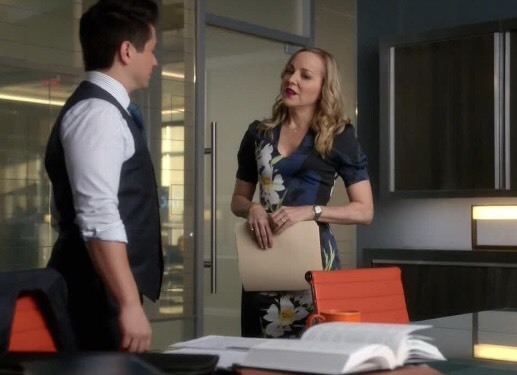 Diana gets out first because she’s still angry because Bull hasn’t yet explained. Poor Benny is stuck in the middle. Bull is at the doctor. The doctor tells him that he’s ok. He just got spooked and he needs to tell Diana. When he gets to the courthouse, Diana has locked him and Benny out while her and her niece talk. Her niece tells her that Randy had the hat on the plane. Randy’s ex-fiancée is on the stand. He wanted the ring back and he came to her place to get it on the night of the robbery. She didn’t give it to him and he left. Diana then jumps the gun and throws Randy under the bus. This of course does not sit well with Bull. They all argue and then they come back to the phone call. Apparently, they didn’t understand the first time that she gave the combination out loud over the phone the first time they talked about this. She then tells them about her phone being missing for a minute and Randy is sure he left his hat on the plane. The guy sitting next to them could have planned the whole thing. They find him extremely quickly. Chunk gives him the perfume that makes him sneeze, tells him that police have searched his house, and that his ex-wife told them everything. Bull, Benny, and Diana are in the car again. Benny leaves and Bull and Diana go into a hotel. He kind of starts to tell her about his heart attack and they make up as “Let’s Stay Together” plays again in the background. 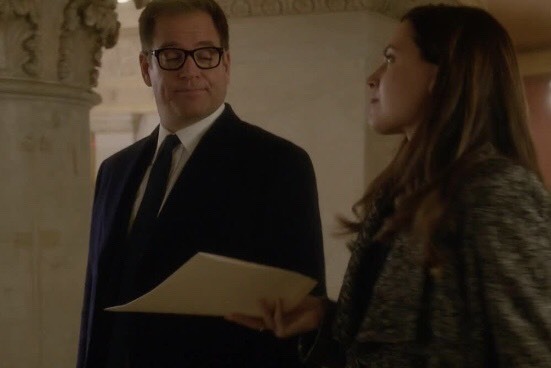 I loved the Diana and Bull stuff because I always love the Diana and Bull stuff, but the rest of the episode was weak. 7/10.